It’s right around this time in January many of us are trying to beat the winter blues by thinking ahead to our spring, summer and fall vacations. The U.S. Travel Association is offering free resources for the third year in a row to celebrate National Plan For Vacation Day today on Jan. 29. The beautiful thing about living in Hendricks County, Indiana, is we can easily plan to travel since we are close to the Indianapolis International Airport, but it’s also an incredible place to visit! Regardless, it can be overwhelming to book a trip, especially considering you must coordinate schedules, find good deals and simply pull yourself away from work. Consider that according to the U.S. Travel Association, 52% of Americans have unused vacation time, and there were 705 million unused vacation days last year! When you look at it that way, it feels like such a waste. Here are some simple steps you can follow to get your vacation planned successfully. Research shows that those who plan ahead are more likely to actually make their trip and are happier with the outcome of their vacation. So get planning! Block off the time! Look at your calendar and decide when is the best time to travel for you based on work and personal commitments, and ask for the time off. Decide on a budget! Decide ahead of time what you’re willing to spend and try to stick to it. Do you want to indulge or pinch pennies? Again, it’s up to you and whatever brings you peace of mind. Use the U.S. Travel Association’s Vacation Planning Tool! Click on the link for a step-by-step resource in planning your vacation. The Bread Basket Cafe and Bakery in Danville has been nationally recognized by both The Today Show and People Magazine as having some of the best brunch food in the nation. This cafe nestled in a bungalow just a couple blocks from Danville’s historic County Courthouse Square offers tasty cuisine made in-house with locally grown produce. Breakfast, lunch, coffee, tea and desserts are the highlights here. Plan to swing into the Mayberry Cafe and step back into 1960’s nostalgia by dining on homestyle cooking in a restaurant straight out of The Andy Griffith Show. 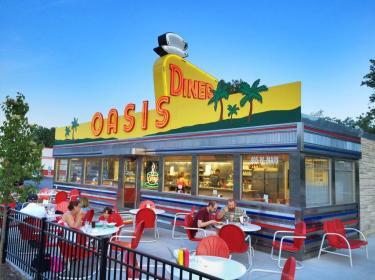 Oasis Diner is a classic, &apos;50’s diner with vintage decor and classic American fare, offering all-day breakfast, fresh sandwiches, desserts and handcrafted sodas. They’re famous for their breaded pork tenderloin sandwich, a Hoosier staple. Local beer and wine is offered at many of our local restaurants, but add a visit to Black Swan Brewpub or Chateau Thomas Winery, and you can put together a pallet of flavors and styles for just about anyone. 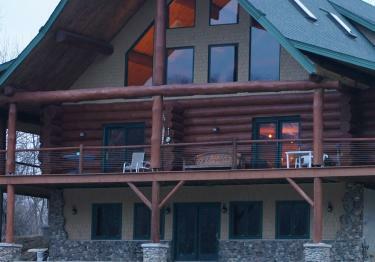 Hendricks County offers hotels, motels, bed & breakfasts and vacation rentals. Based on your plans, you can choose a location close to the airport, the race track, an attraction or even plan around pet-friendly accommodations! Visit our website to search by location (maybe you want to be near the racetrack or the airport! ), style (prefer a bed & breakfast or a hotel?) or even by town. Since these locations are not in the city, they are more cost efficient and safe while also being close to downtown Indy if you want to extend your stay. The Shops at Perry Crossing in Plainfield, an outdoor lifestyle mall with food, shopping and entertainment. Downtown Danville offers the local flavor of a historic square with restaurants, shopping and entertainment if you want to mosey around and explore. 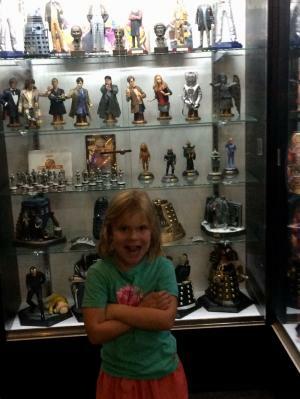 Who North America can only be found here as it is the only retail shop and museum in North America dedicated solely to Doctor Who, the British sci-fi show with a cult following. Beasley’s Orchard – A fantastic place to get farm-fresh produce and check out seasonal activities in the summer, fall and during the holidays. Activities include shopping in the barn, a u-pick apple orchard, corn maze, hayrides, a visit from Santa in December and of course the Heartland Apple Festival in October. The Tie Die Lab – A unique experience for all ages that allows you to be the artist. You can tie dye t-shirts, socks, hats, bandannas and more. 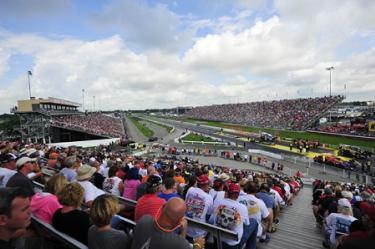 Lucas Oil Raceway – This track and the areas that surround it in Brownsburg have become a motorsports haven for race teams and manufacturers. The racing complex itself includes a .686-mile paved oval and a quarter-mile drag strip with races and other events occurring throughout the spring, summer and fall. Check out their schedule here. Splash Island Family Waterpark – A 4.5-acre Caribbean-themed outdoor water park open May through September. 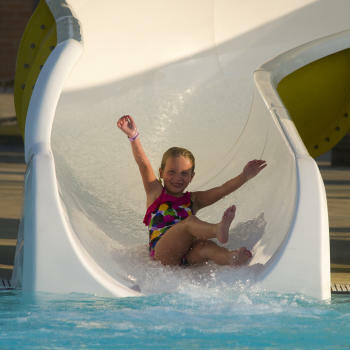 The waterpark has all the features you need to spend a lazy summer day including a leisure river, zero-depth entry children&apos;s area with a water playground, springboards and large water slides. Other places you should consider include Red Curb Improv Comedy Theatre, Monster Mini Golf, movie theaters and DIY studios such as uPaint Pottery Studio and Bisque Barn. Parks and Gardens – Our parks are incredible and offer miles of trails, playgrounds, Frisbee golf, splash pads and more. Each town’s parks have a bit of a different flavor so search for one near your accommodations. While there are numerous events every month in Hendricks County, these three top the list for their uniqueness. Mayberry in the Midwest – This beloved festival in Danville brings The Andy Griffith Show to life with tribute artists, special guests, a parade, contests, concerts and other special activities during the third weekend in May. Hendricks County Rib-Fest & Avon Balloon Glow – This day-long event during the last Saturday in June includes a 5K event, live entertainment, games for kids, food and the best ribs the county has to offer. Stay into the evening to watch the unique hot air balloon glow and fireworks display. U.S. Nationals – Make sure to plan for the most prestigious drag racing event in the world, the Chevrolet Performance U.S. Nationals over Labor Day weekend! Regardless of whether you plan to go or stay, use National Plan For Vacation Day to solidify your plans, and use our website to plan your stay in Hendricks County!